Hey Dolls! I try to get Champagne Sunday posts to you early; but the time got away from me today. However, I quickly realized that it’s never too late in the day for a Champagne Sunday recipe! C’est ici! Today’s cocktail is compliments of my Mother, the original Doll, who interestingly enough doesn’t imbibe. She did however observe a cocktail at a soiree she attended, and was so fascinated that shared it with me – The Blooming Champagne Cocktail. Peep the mixology below. The Mixology. Position the hibiscus flower at the bottom of a champagne flute and slowly fill it with your favorite bubbly. 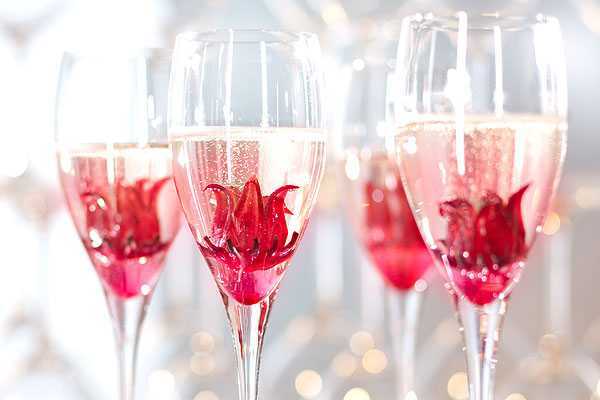 As the champagne fizzles, the hibiscus flower will open up and bloom in your glass. Once you drink your bubbly, refill it. Or, just nibble on the edible flower. Chin, chin! Yes Dolls, I’ve heard you, not everyone imbibes. And yes, there are times when I am out socially and not in the mood, particularly during the summer months. My go-to, the Virgin Cape Codder. Named the “cousin of the Cosmo,” the Cape Codder is best served pool side or at the beach. Peep the mixology below. The Mixology. 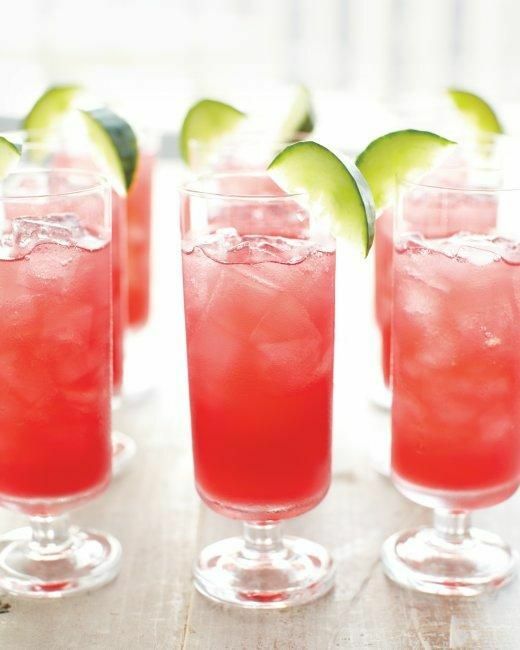 Combine cranberry juice and fresh lime juice in a tall glass; top with club soda stir. Add ice. Garnish with fresh or frozen cranberries if desired and serve. For those that want the traditional Cape Codder with a twist, peep the mixology for the Cucumber Cap Codder. The Mixology. Bring sugar and 1 cup water to a boil in a small pot. Reduce heat, and simmer, stirring until sugar dissolves. Remove from heat, stir in grated cucumber, and let cool. Pour through a fine sieve into a bowl or large glass measuring cup, and discard solids (you should have 2 cups syrup). Cucumber syrup can be refrigerated up to 3 days. Combine cucumber syrup, vodka, and cranberry and lime juices in a 2-quart pitcher. Cocktail can be refrigerated up to 8 hours. Serve over ice, and garnish with cucumber wedges. Serve. Chin, chin!